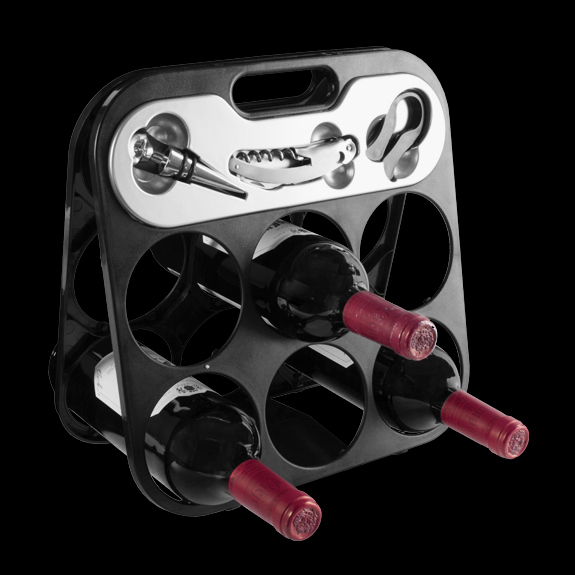 The diameter of the 6 holes for wine bottles is 9 cm. Measures of the open bottle rack: Approx. 30.5 x 30 x 15 cm. Measures of the folded bottle rack: Approx. 30.5 x 30.5 x 2.5 cm.